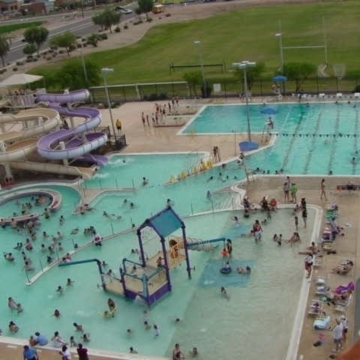 Come beat the heat of the summer and join the Autism Society of Greater Phoenix with a private pool party! It is sure to be a lot of fun! PLEASE NOTE THIS IS A DIFFERENT, LARGER LOCATION THAN IN PAST YEARS! MUST REGISTER BY JUNE 25TH! There is a water slide, drop slide, zero-depth entry and play structure with a kid slide, plenty of shade, lap lanes to swim in and plenty of room to relax and enjoy time with your family! Families can bring in their own food or purchase pizza, fruit, veggie, chips, & drinks from us for $4 per person. It will not be GFCF.